Our Grand Canyon Battery Electronic Ignition System operates without the need of a standing pilot. 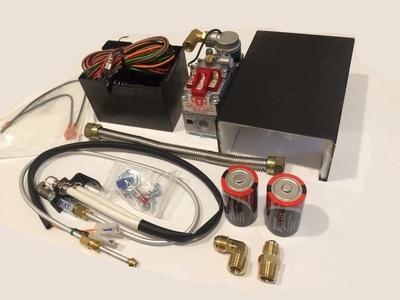 This compact system sits in your fire box next to the burner system and functions off of 2 D cell batteries. 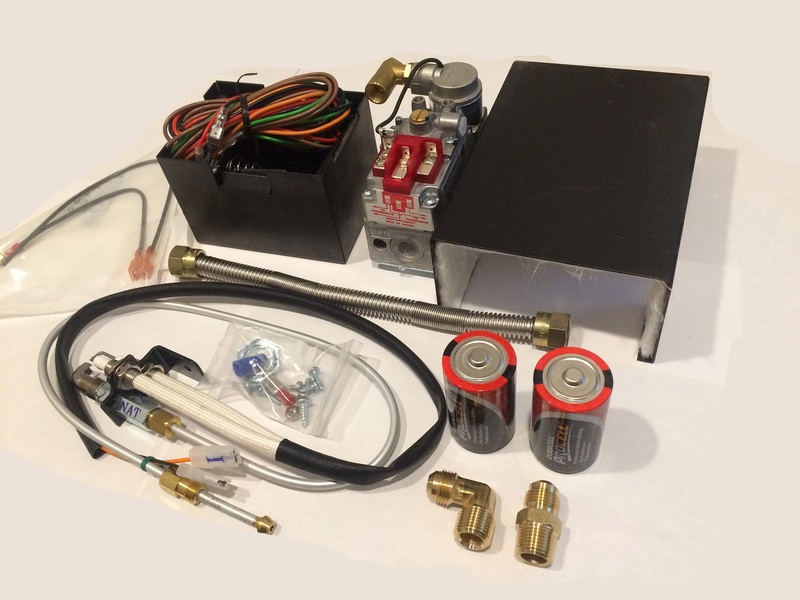 This kit includes the wiring harness, module, heat shields, fittings, 82K BTU valve and other items pictured. Available in Propane and Natural Gas. 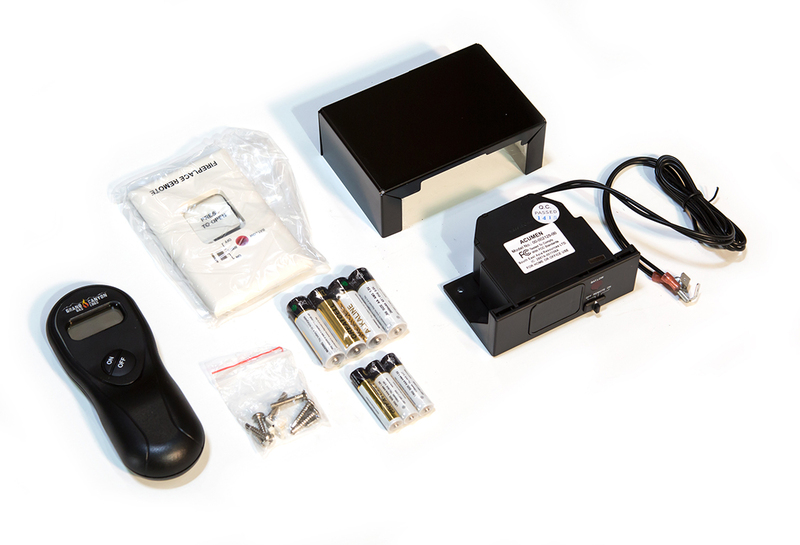 Operations include manual (switch on heat shield), or optional features such as remote (GCRK) or wall switch (GCWS).